As I mentioned in my last post, the stretch tent system is at its best when set up as a canopy; to include and enhance the surrounding landscape. However, the great English weather doesn’t always allow us to do this, and put a bit of a dampener on proceedings! 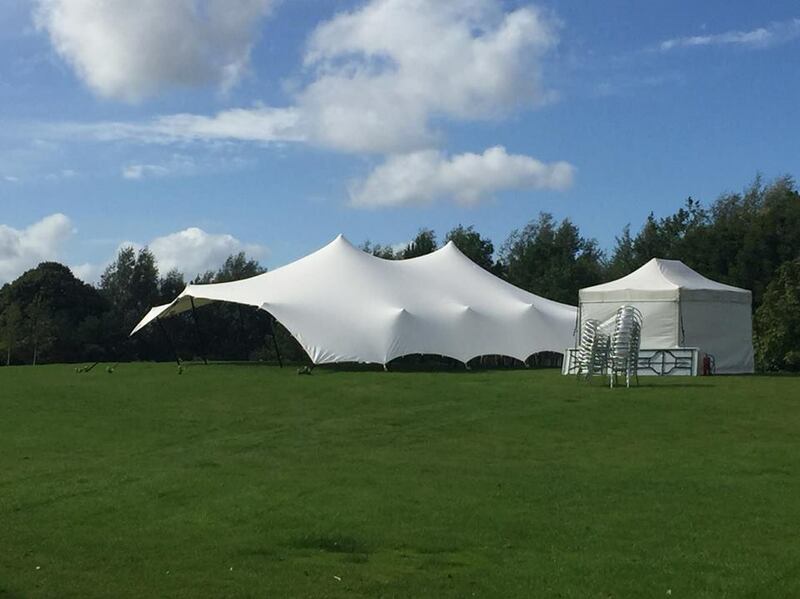 As a company with a wide experience in both event management and stretch tents, we understand the need to make your party special, and guests being cold or wet isn’t conducive to that! In the week running up to any event, we work with the client to work out the best option(s) dependent on the weather forecast. If the forecast is poor, then the best option is to lower one or more sides. However, this sometimes doesn’t work or simply isn’t possible, whether that is due to spacial requirements, or the need for entrances/exits. If this is the case, then we can construct custom sides on site as both a wind break, and to protect the guests from the rain. As well as wind and rain, we understand how cold it can get during summer evenings. This is why we always offer our clients the options of hiring gas patio heaters from us for any event. Rather than blowing hot air into the tent, they provide a more direct heat. This is far more effective, especially when the tent is rigged as a canopy. ← Why Hire a Stretch Tent?